Whether it has any direct influence on the music or not, I’m always curious about what was going on in a composer’s life at the time he was writing something I’m listening to. In the case of Beethoven’s 8th Symphony (which the Harrisburg Symphony is playing in this weekend’s concerts), there was a lot going on but then Beethoven was famous for compartmentalizing his life from his creativity. Concerns about signs of increasing deafness led to an intense emotional crisis in October of 1802. 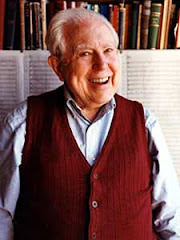 Written as a response to this, the heart-rending Heiligenstadt Testament included doubts about his ability to continue as a composer and performer. Even though one could argue the thoughts of suicide were in the flowery language of the day and possibly more rhetorical than emotional, it is still powerful stuff. And yet at the same time, Beethoven was working on the final movement of his 2nd Symphony, probably one of his most extroverted, joyous pieces. Since the 7th and 8th Symphonies are fairly intertwined (see a previous post, here), let’s look at what was happening just before the time he officially began working on the 7th, keeping in mind he had been sketching some ideas for his next symphony already. Did any of these events have any bearing on the symphonies’ gestations? Shortly after Vienna surrendered to the French, Haydn died. Even though Haydn had proved an ineffective teacher for Beethoven and had himself essentially quit composing since Beethoven’s star began to ascend, he was still an icon of his times, the last remaining vestige of the greatness of the last century. In September, Beethoven conducted his Eroica at a charity concert as Vienna began to return to normal and a peace treaty had been signed between Austria and France. But his mood was still somber and pessimistic. “We are enjoying a little peace after violent destruction, after suffering every hardship that one could conceivably endure. I worked a few weeks in succession, but it seemed to me more for death than for immortality. …I no longer expect to see any stability in this age. The only certainty we can rely on is blind chance.” (Beethoven, writing on November 22nd, 1809). Yet during this year, despite the physical, economic and psychological hardships, he managed to complete the “Emperor” Concerto (most of it finished before the bombardment began), the “Harp” String Quartet and a set of piano sonatas including the famous “Les adieux” Sonata, inspired by the absence and eventual return of his friend, student and (probably more importantly) patron, the Archduke Rudolph, youngest son of the Austrian emperor, who, like most of the aristocracy, had fled the city on May 4th before the French army’s arrival, only returning in late January, 1810. At the end of 1809, he received a commission to write incidental music for Goethe’s Egmont, a play about a hero opposing the Spanish occupation of the Netherlands. 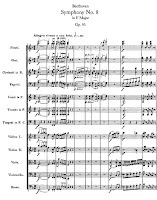 We often think of this as part of Beethoven’s heroic theme, a thread that held together the 3rd and 5th Symphonies as well as the “Emperor” Concerto (essentially a work in the old “military” style that was quite popular in its day but forgotten, today). In actuality, the attraction of this commission probably had more to do with the not very subtle similarities between Holland’s foreign occupation and Vienna’s. Goethe was the greatest living figure in German Art – poet, playwright, novelist. 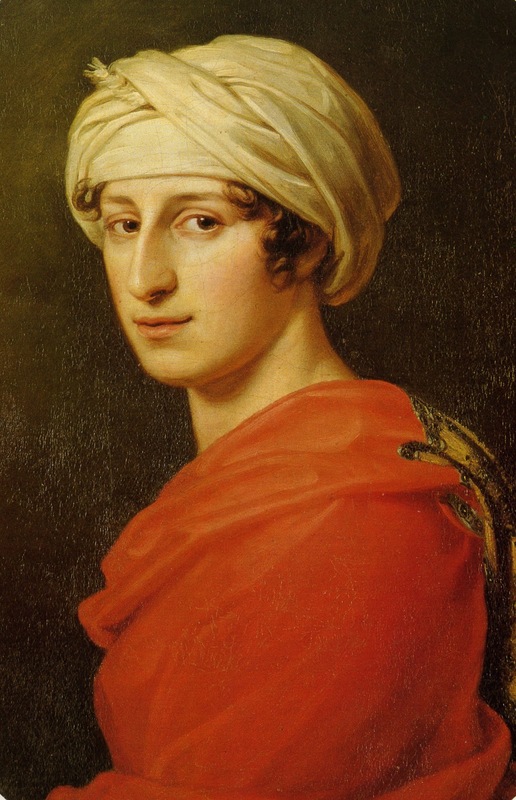 That summer (1810), Beethoven corresponded with a woman named Bettina Brentano who was a friend of Goethe’s: she would later arrange for them to meet at the spa in Teplitz. Another significant but more personal event of the summer of 1810 was Beethoven’s decision to marry. He had often complained how he was unsuitable for marriage or seemed to be attracted to women of a higher station in life than would reasonably consider such a man – genius or not – for her husband. He wrote to an old friend in Bonn to track down a copy of his baptismal certificate as proof of age (a requirement for marriage) and he even paid attention to his wardrobe and his appearance. But apparently his proposal was turned down. It seems the woman in question was the daughter of his physician, a young girl of 18. Beethoven would turn 40 that December. It seemed an unlikely choice. Though disappointed, Beethoven spent two months in Baden where he worked on two major compositions – the String Quartet in F Minor which he subtitled “Serioso” (very few of the nicknames associated with his works originated with the composer) which may have been influenced by his state of mind, and another work dedicated (like the “Emperor” Concerto and the “Les adieux” Sonata) to the Archduke Rudolph, a piano trio in B-flat, his grandest chamber work, known as the “Archduke Trio,” which he completed in March, 1811. But his health was still not good and his doctor (and ex-future-father-in-law) suggested he spend the summer in Teplitz, a famous resort northwest of Prague. 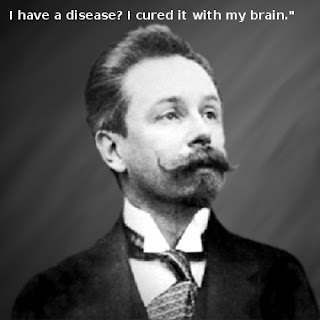 Refreshed, he returned to Vienna and began work on the 7th and 8th Symphonies. Though work on the 8th didn’t really begin in earnest until after he finished the 7th the following spring, he talked about plans for it and for a possible third symphony to follow, probably in D Minor, though not enough exists to prove this became the actual 9th Symphony completed in 1824. 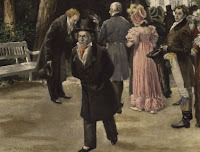 For the second summer in a row, Beethoven decided to return to the same place he’d spent the previous summer – the spa in Teplitz (usually, he stayed closer to Vienna). Since this was in neutral territory and between most important German cities and Vienna, it was a place where diplomats and aristocrats would gather to discuss the political situation as Napoleon took off for what turned out to be the disastrous invasion of Russia in the fall of 1812. Goethe would also be there, that summer, and a meeting was finally arranged between them by their mutual friend, Bettina Brentano (who, by the way, had recently married Achim von Arnim who would later collaborate with her other brother, Clemens Brentano, on the collection of folk poems known as “Des knaben Wunderhorn,” a major inspiration to, among others, Gustav Mahler). Such is a description of Beethoven at the time he was composing his jovial 8th Symphony! There is some doubt about exactly when Beethoven completed the 7th – some sources say “April, 1812,” others “during the summer of 1812.” At any rate, once he completed it, he began work on the 8th in earnest. 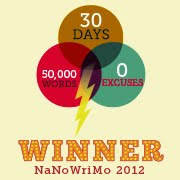 Sounds like a pleasant summer vacation, a writing holiday to get away from the distractions of the city, right? Beethoven arrived in Teplitz on July 5th. The next morning, he wrote a letter. Now, ordinarily, this would seem inconsequential – he wrote lots of letters. But this letter precipitated a mystery that has yet to be solved: it is the famous “Letter to the Immortal Beloved.” The woman is unnamed and she was at the spa in Karlsbad not far from Teplitz: the plan, apparently, was for him to meet her there shortly. It is a passionate love-letter and the only copy of it was found in Beethoven’s desk after his death in 1827. Was it the rough draft? Did he never send it? If he was apparently met with rejection (again) since nothing ever came of this relationship (that we know of), why did he keep the letter? There were two portraits in that same desk drawer, miniatures of Giulietta Guiciardi (to whom he dedicated the “Moonlight” Sonata in 1801) and one that was believed to be Countess Anna Marie Erdődy (Beethoven rented rooms from her and her husband in 1808-1809 and dedicated the Opus 70 piano trios to her in 1810) but was later ascertained to be Antonie Brentano. There have many candidates for Immortal Belovedness – the least likely being the one espoused by the highly inaccurate 1994 film “Immortal Beloved,” Beethoven’s sister-in-law. While her true identity will probably remain unsolved – and Antonie Brentano, currently the favorite candidate, was in fact in Karlsbad when Beethoven wrote the letter – her impact on him may have been considerable. Assuming this letter was the culmination, not the start of their relationship, could it have something to do with Beethoven’s state of mind since he would probably have met her and fallen in love within the previous year or two? We know that he met Antonie (see left) in 1810. Could love be behind the joy we hear in both the 7th and the 8th Symphonies? By most accounts, Beethoven was described as “elated” that summer of 1812, judging from his own correspondence and the two works that dominated his creativity at the time. Antonie, her husband Franz Brentano and their six-year-old daughter arrived in Karlsbad on July 5th, just as Beethoven was arriving at Teplitz, and were registered in the guesthouse at 311 Aug’Gottes (God’s Eye). Beethoven left Teplitz for Karlsbad on July 25th and was registered to stay in the guesthouse at 311 Aug’Gottes – the same one where the Brentanos were staying. They all left Karlsbad around August 7th or 8th, stayed at the Franzensbad spa where Beethoven stayed until September 8th when he returned alone to Karlsbad and then by September 16th to Teplitz. From there, he went to Linz in Austria, where he worked on the score for the 8th Symphony while staying with his brother, Nikolas Johann, who had opened an apothecary shop there in 1808. Beethoven’s relationship with both of his brothers was stormy, at best. Even in the Heiligenstadt Testament, written as a kind of last will and testament to his two brothers, he leaves a blank space rather than naming Johann (another mystery for which there is no clear answer). It was possible Beethoven planned this visit to delay his return to Vienna but not necessarily to have a nice family vacation. His primary purpose seems to have been more of a “visitation” than a “visit,” meddling in his brother’s personal affairs. It seems that Johann rented part of his house to a physician whose unmarried younger sister-in-law lived with them and who eventually became Johann’s mistress. Beethoven was outraged at this news and “descended” on his brother to convince him to end the relationship, even applying to the local bishop and the police chief to have the girl expelled from Linz. But before he could manage that, Johann married her on November 8th and Ludwig retreated angrily to Vienna where nothing more was heard of him until December 29th when he gave a concert with violinist Pierre Rode where the newly completed Violin Sonata No. 10 was premiered. But the question remains, if Beethoven was so outraged by his brother’s morals, what would he be doing carrying on an affair with a married woman right under her husband’s nose, if Antonie Brentano was indeed the “Immortal Beloved”? He could hardly marry her and she would be unable, most likely, to have gotten a divorce to do so. Is it possible, despite his proximity to the Brentanos, that Beethoven was in love with someone else who was there, someone we don’t know anything about? Still, it is tempting to point out that the Brentanos, after their return from Karlsbad, left Vienna for Frankfort in November and Beethoven remained at his brother's until after their departure. Perhaps on purpose? Yes, well, like I said, there are mysteries among mysteries when it comes to examining a composer’s life and trying to apply them to a composer’s works. But still, it’s tempting to wonder – whoever Karl Josef Brentano’s father really was – if Beethoven was working on his 8th Symphony around the time of his idyllic summer with the Immortal Beloved – whoever she may have been – is that perhaps one reason why Beethoven might have had an especial fondness for this symphony, one he called “my little one”? I never understood that “not as great” – not as popular, maybe, but certainly not “not as good.” Greatness may be difficult to define and is often confused with size and scope as well as popularity. And in the Symphony No. 8, we have two problems to fit that concept of greatness: the work is not built to a heroic scale like the 3rd or 5th Symphonies, geared toward public appeal like the 7th or the epic grandeur of the 9th (but then nothing else really is). In fact, it doesn’t even seem to have the ground-breaking innovation of the 1st that so startled the classical music world when they first heard it in 1800 (a new century, a new age). Beethoven was one-of-a-kind – not just in the history of Western classical music. And his symphonies are – unlike many lesser composers who wrote series of works fitting particular patterns – also highly individual, with their own intrinsic personalities. Just like children. And just like children, perhaps not all of them grow up to become irrefutable masterpieces, for one reason or another. And if the 2nd, 4th and 8th Symphonies of Beethoven did not achieve the popular status of their companions – the 6th, the “Pastoral,” is always an exception, speaking of individualities – they cannot be dismissed as not being chips off the old block. 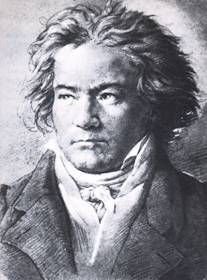 When the casual listener thinks of a composer writing a piece, it’s often assumed that piece was written in isolation, in the heat of inspiration (Beethoven, with his wild eyes and even wilder hair, is the epitome of an artist working under the influence of inspiration) and with an eye toward posterity. But this isn’t always the case. Bach, essentially, wrote for Now – his cantatas for specific Sundays in the church calendar, the Well-Tempered Clavier as teaching pieces for his sons, the concertos and orchestral suites for public concerts at Zimmermann’s Coffee House where he conducted the Collegium musicum, the closest thing Leipzig had to a local symphony. Mozart and Haydn composed their symphonies and string quartets and operas for the audience of their day and if certain works survived to win favor with more audiences in wider locations, so much the better. Not every work set out to be a masterpiece, more original than the last. It may sound derogatory to consider composers like Bach, Mozart and Haydn as craftsmen but this was often how they and their age viewed them – employed by the nobility or the church to produce works of art that were as much a part of their patrons’ ownership as any painting or palace, something to impress the neighbors with, to put it bluntly. Part of Prince Esterházy’s fame not only within the Austrian Empire but across Europe in general was that he employed Haydn who wrote these wonderful symphonies that were all the rage in places like Vienna, Berlin, Paris and London. That began to change at the very end of the 18th Century – or, to round things off, around 1800. It could probably be blamed on the “equality” inspired by the French Revolution as much as the changes brought to everyday life by the no less influential Industrial Revolution, a time where artists in general became part of the general free market economy. And around this same time, composers went from creating a huge inventory of new works – Haydn’s 104 symphonies, for instance – to concentrating on only a few. After Mozart arrived in Vienna where symphonies were not as popular as concertos, in those last ten years he wrote fewer symphonies (in fact only three) but more concertos because, frankly, there was more of an audience for them and that meant more money. Mozart wanted his freedom to create so he went to Vienna in 1781 to seek his fortune and ended up dying young, buried in a pauper’s grave. That’s what we’re led to believe. But all through that short life, Mozart was trying to find aristocratic employment. When no one, for whatever reasons – mostly due to his father’s meddling, it is believed – wanted to hire him, the 25-year-old Mozart decided to move to Vienna and become a free-lancer, basically, rather than put up with the backwater provinciality he suffered in Salzburg where he was, quite literally, kicked out by an annoyed boss. Reading his letters and following contemporary accounts, it’s not hard to believe that Mozart was difficult to get along with – not just his sense of idealism, as we regard it today, but in his lack of diplomacy dealing with the aristocrats he needed to court. And Beethoven was very much in the same mold, whether we regard this as egotism backed up by their genius or just in their inability to behave the way society expected them to. Especially in Beethoven, posterity created this image of the heaven-storming Titan and therefore the sense that if the heaven-storming symphonies like the 3rd, 5th, 7th and 9th fit this image, consequently, the “other” symphonies – from the gentle pastoral 6th to the more abstract 4th and 8th – were times when Beethoven felt the need to relax after such Herculean struggles. Unlike many composers – who write one piece and then go on to the next – Beethoven worked on several compositions at the same time. Judging from his sketches, whether he was consciously working on them concurrently or not, some works were often conceived in the process of composing another one. Themes or ideas might be put aside, inappropriate for this piece but perhaps more suitable for a different work, only to take shape later. But it’s also clear that Beethoven was fully capable of compartmentalizing his creativity to have various burners firing, more or less, at once. Yet it’s amazing how different these works, sharing a common gestation period, might be from each other. We tend to forget, today, that in the 18th Century, a composer might produce a dozen concertos or a half-dozen string quartets in a set, not individual pieces later grouped together for convenience (Bach’s Brandenburg Concertos being an exception). Haydn would plan six string quartets where each one was to have its own individuality but also fit particular expectations – different moods, different stylistic details – which Beethoven followed in his first set of quartets, Op. 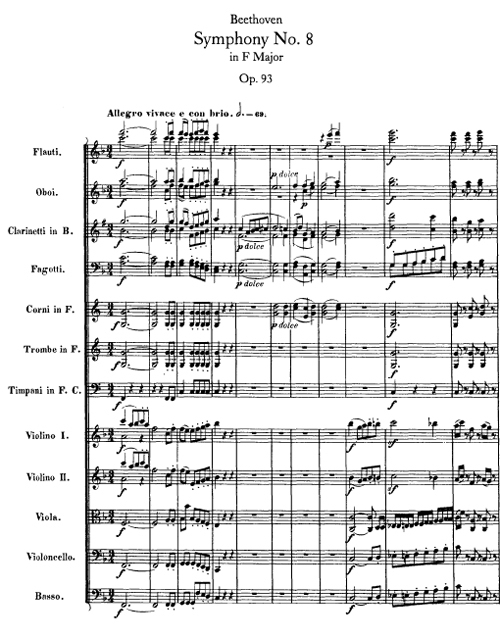 18: there is one in a minor key, the dramatic one; there is a more lyrical one, one that is more symphonic in scope (meaning it deals more with developmental aspects of the form), one that is more “concertante” in style (essentially a violin concerto with the accompaniment of the other three players) and so on. This is one way a composer could “individualize” collective works and in a sense, it kept a composer, even returning to a particular form or genre again, from writing sequels the way Tchaikovsky did in his 4th, 5th and 6th Symphonies (since he is often accused of writing the same symphony three times). For Beethoven, we could assume the challenge was to always be original; in Tchaikovsky’s defense, we should think of it as finding a successful model (whether it resonated with the audience or with the artistic soul) that could be expressed in different ways. After all, would it be any less fair to say Tchaikovsky – or Mahler or Shostakovich – wrote their own 5th Symphonies or rewrote Beethoven’s 5th their way? To read more about Beethoven’s 8th, continue at the Harrisburg Symphony Blog, here. Stuart Malina and the Harrisburg Symphony will be performing this work at concerts this weekend, Saturday at 8pm and Sunday at 3pm at the Forum in downtown Harrisburg. Hey, classical music fans! It's time to make some pop-culture references to help people understand that classical music can have relevance to our lives today! 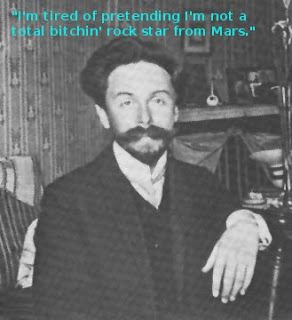 "Scriabin developed his own very personal and abstract mysticism based on the role of the artist in relation to perception and life affirmation. His ideas on reality seem similar to Platonic and Aristotelian theory though much more ethereal and incoherent. The main sources of his philosophical thought can be found in his numerous unpublished notebooks, one in which he famously wrote 'I am God'. As well as jottings there are complex and technical diagrams explaining his metaphysics." Addendum - Not that I'm equating Scriabin with Charlie Sheen, as friends on Facebook seem to assume - I'm merely pointing out the perceptions of one generation are not necessarily those of future generations, not that that automatically makes Charlie Sheen a candidate for future geniusness. My solipsistic skepticism, here, is purely to point out the absurdity of those who are constantly trying to engage a younger audience for classical music by bringing in "pop culture references." And this seems more "relevant" than trying to describe Mozart as the Lady GaGa of his day.